New letterpress video on the story of Patrick Barrett of Lucky Duck Press in Brooklyn, New York and his antique foot-powered letterpress passed down from the family business, The Sterling Press. Video by ETSY. 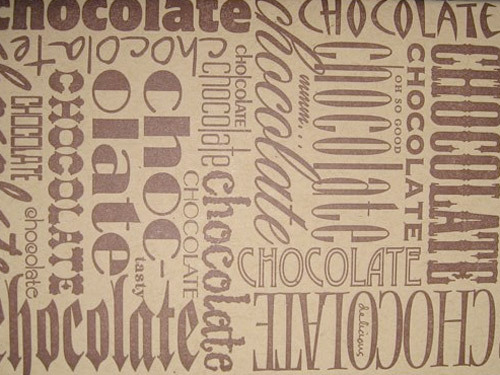 Casey McGarr’s letterpress work is amazing. 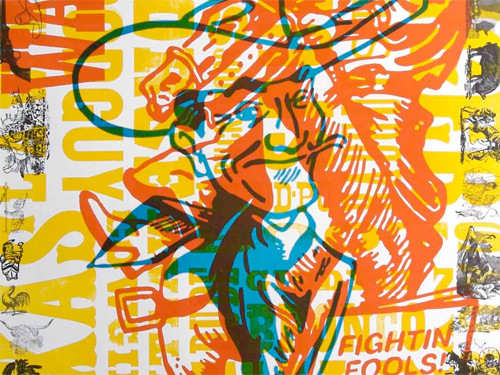 The image above is self-promotional poster for Inky Lips Press containing the character Vegas Vic printed with traditional cuts, type and linoleum cuts by Casey. Casey has over 20 years of graphic design experience and is truly inspirational. 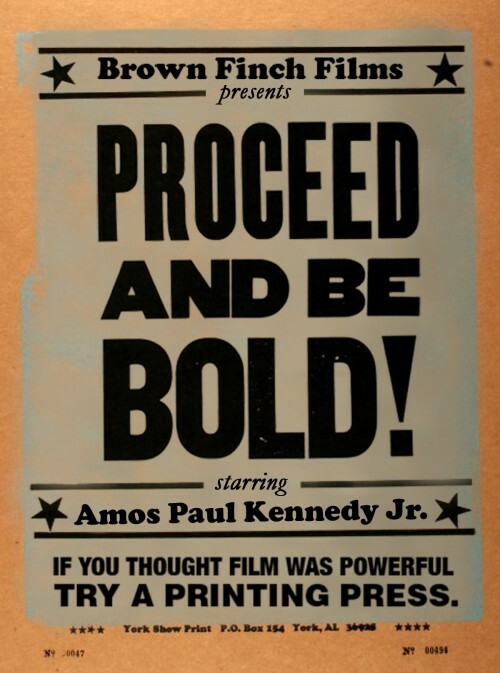 Amos Paul Kennedy Jr: Proceed and Be Bold! Proceed and Be Bold! is a documentary film that follows the life and work of letterpress printer Amos Paul Kennedy Jr., and his socially and politically charged works of art. Can not wait to watch this. The film is about Amos Paul Kennedy Jr. and produced by Brown Finch Films. Order one here. 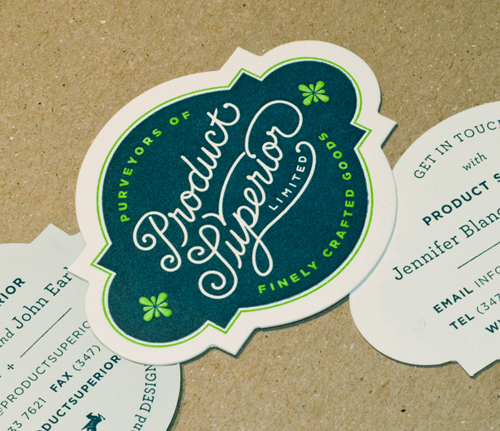 Beautiful self-promotion letterpress + die cut business cards by Product Superior out of Brooklyn. Refreshing use of die cutting for a business card. 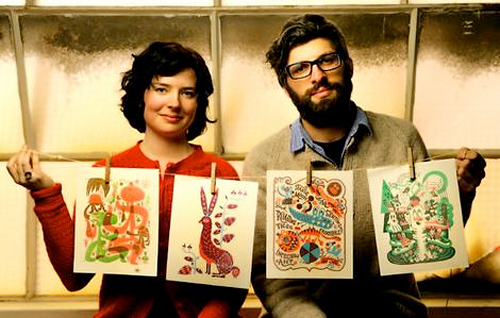 Carly Heargreaves and Niels Oeltjen of Wilkintie, had a nice article written about their letterpress studio and what inspires them in The Age.